Did you get a chance to see my previous post? Today is Children's Day in Brazil and I'm celebrating on Kitchen Corners with two giveaways for the little foodies in your life. Are you familiar with Scholastic Storybook Treasures? Basically it's your favorite children's books in animation, simple animation (even better), and a joyful narration to accompany them. Basically it's awesome. Last night we watched one of our favorites to get us in the mood for Halloween. This one is also a favorite, and this one, and this one. 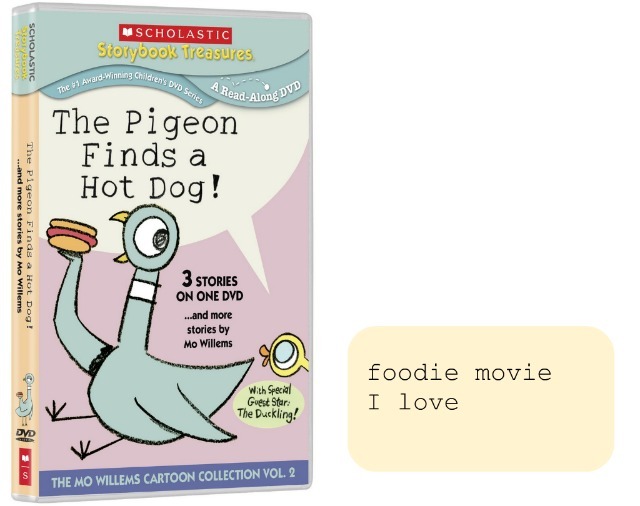 Now the Pigeon Finds a Hot Dog is sure to become a new favorite in our home because a) I love Mo Willems and b) because I love a good story where a hot dog is involved, and The Pigeon Finds a Hot Dog is one of my favorite books ever. The DVD will be in stores later this month. I'm thrilled that today I get to give, not one but, two copies away. 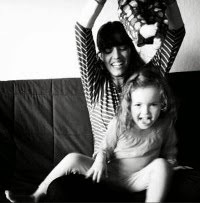 Happy Children's Day! The Prize: One copy of The Pigeon Finds a Hot Dog. 2 Winners. Must have a U.S or a Canada mailing address.To Enter: Leave a comment about a happy childhood memory you have.+1 more comment: You can get more entries by becoming a Kitchen Corners' Follower using Google Friend Connect on the sidebar. Giveaway closes: Midnight Tuesday PST October 18. The winner will be randomly selected, contacted via email, and announced next Friday. This giveaway is now closed. Congrats to Jozen and Carol Yuen.